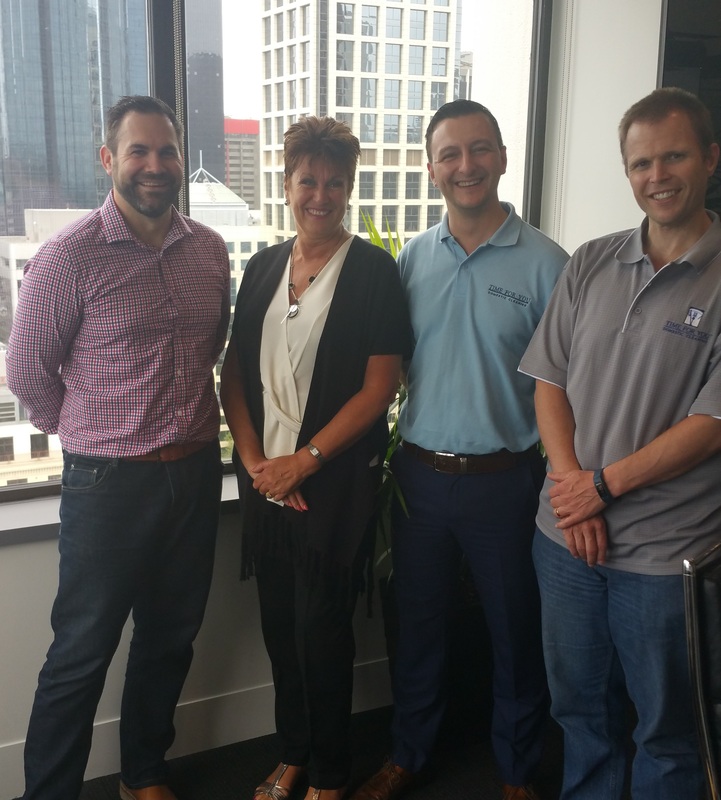 The Time For You team in Australia are excited to have a visit from the UK master franchisor Ruth Rayner and UK Operations Manager Sam Stawarz. Sam has run a full day booster training session for the Australian franchises concentrating on getting the most from their franchise and how best to maximise sales leads and cleaner recruitment. The UK and Australian teams have also had working meetings on the technology side of the business discussing on how best to improve all the Time For You systems to make the operations of a franchise easier. Richard Garraway the Australian operations General Manager will also head over to the UK in November to join the UK franchisees at the Annual Meeting at the head office in Northampton. If you would like to learn more at the franchise read here. Great News for all the Sydneysiders, Time For You is exhibiting at the Sydney Franchise Expo this weekend, you can find us on stand C24. We would love to see you there and chat to you about the fantastic franchise opportunity that Time For You is. One of the most successful cleaning franchise systems in the UK has arrived in Australia. The new Australian Master Franchisor has 20+ years of successful small business expertise and has hired an experienced franchise executive to head their franchise team. The individual franchise offer for Australian franchisees includes everything you need to get your Time For You franchised business started, including access to the Intellectual property, admin systems, training and marketing. Andrew Russell from Master Franchisor of Time For You Domestic Cleaning says ”Our successful family operated business had many similarities to the Time For You UK family and I am now very excited to share our new franchising concept with potential franchisees”. Richard Garraway has been appointed as the General Manager to head up the franchise operations in Australia. If you are interested in a Time For You Domestic Cleaning franchise please contact Grant at the Franchise Shop on 1300 139 557, we look forward to hearing from you.